HORIBA MIRA Announced as Defence Growth Partnership Innovation Challenge Winner with ATLAS UGV Navigation and Localisation System. A world-leader in advanced automotive engineering, research, development and testing – has secured a further £845,000 in funding from the Ministry of Defence (MoD), to deliver a third phase of its ATLAS Unmanned Ground Vehicle (UGV) Autonomy research project. The funding has been awarded as part of the joint UK MoD Defence and Security Accelerator (DASA) and UK Defence Growth Partnership (DGP) Innovation Challenge. HORIBA MIRA is one of four successful winners down-selected through three phases of competition from over 600 original entrants. The MoD funding is being matched by HORIBA MIRA investment and will allow the continuing development of ATLAS through a two-year Capability Proving phase of work managed by UK MoD Defence Equipment and Support (DE&S). ATLAS is a novel vision-based navigation, localisation and perception technology that enables UGVs to operate effectively in challenging environments, without reliance on satellite navigation systems such as GNSS or GPS. Current autonomous systems rely heavily on satellite navigation, but the signals are vulnerable to interference and blocking or masking by trees and buildings. 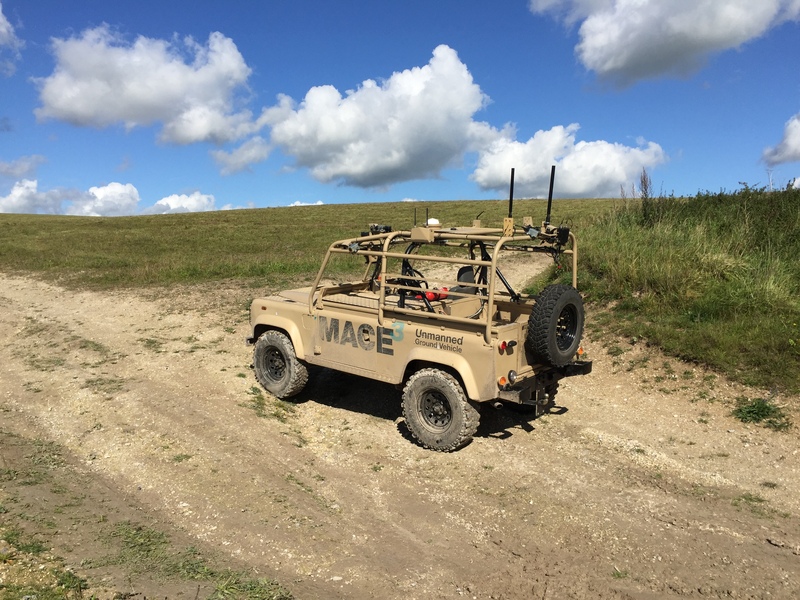 With applications in both the military and civil sectors, ATLAS has been developed to ensure UGVs and Autonomous Vehicles can still operate without reliance on external systems, therefore providing a whole new level of autonomy capability to the defence industry. The technology is biologically inspired and operates in a similar way to a human driver with a map. It uses Artificial Intelligence (AI), Computer Vision and Deep Learning Convolutional Neural Networks to identify the scene around a host vehicle and determine its situation, location and orientation. The funding for this third phase of the project allows HORIBA MIRA to further develop the capability, create a number of advanced pre-production prototypes and integrate on to some key Army platforms. “The AI technology we are developing is the first of its kind and provides a whole new level of autonomy for vehicles where they can perceive the environment, navigate their surroundings and manoeuvre without the need for external assistance from systems such as GPS or GNSS. Brecon Beacons and Salisbury Plain during the summer and autumn in 2017. The system will undergo further development trials at HORIBA MIRA and on MoD ranges throughout 2018 - 2019.